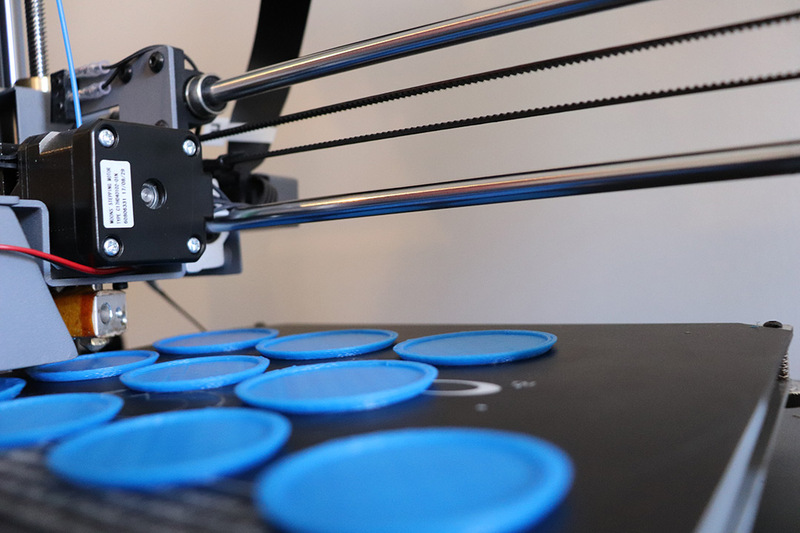 Venator Technologies, one of 15 student-created companies in this year's Saunders Summer Startup cohort, is a multi-service manufacturing company utilizing 3D printing and laser cutting to serve small businesses and individual customers. Rochester Institute of Technology student Jim Heaney started his rapid manufacturing and prototyping business when he was just 14 years old. Five years later, and with the guidance of RIT’s Saunders Summer Startup Program, Heaney and his team are hoping a successful pitch to potential investors will take their business to the next level. Heaney’s business, Venator Technologies, is among 15 student start-up companies in the program, which encourages multidisciplinary student teams to jumpstart their ventures at the small-business launch pad in hopes of kick starting real companies. It culminates with Investor Demo Night, which will be held at 6 p.m. on Aug. 8 in Ingle Auditorium, Student Alumni Union. A networking reception immediately follows. The event is free and open to the public. Creating a backpack that suits the packing needs of today’s gamers, solving mass refrigeration concerns on Sub-Saharan farms, and developing a wearable device and mobile app that helps veterans transition into civilian life are a few of the uniquely innovative early-stage business ideas created by student teams during this year’s program. The program is sponsored by Saunders College of Business and the National Technical Institute for the Deaf, and is hosted by the Albert J. Simone Center for Innovation and Entrepreneurship. Throughout the summer, each of the startups is offered a stipend, a team expense fund, working space in Institute Hall and support from RIT faculty, assigned mentors and community business leaders. Heaney, a second-year industrial engineering major from Montgomery, N.Y., says that his experience with the Saunders Summer Startup Program has helped him develop confidence in his business and has moved his team ahead of the pack. Sniffy: A mobile app that improves the relationship between humans and animals by providing incentives for dog walking, and information on pet stores, groomers and other dog owners. Op-Sixx: A support network comprised of wearable devices and a mobile app that connects veterans and their families to help them transition into civilian life. OurDiet App: An easy-to-follow direct resource offering personalized information based off of an individual’s self-described disease database. Phase Innovations LLC: Provides novel stack-based technologies for energy conversion and storage applications. TERP (two student teams): Aims to become a central marketplace for sign language interpreting services, making it easier for deaf and hearing people to submit interpreter requests. PAL: A wearable technology company that empowers the autism spectrum disorder community with early notification of triggered meltdowns. QuickTix: Allows small, independent theaters and school districts to publish events, sell tickets and promote on social media. Immediate feedback is provided on sales numbers, money earned and seats filled. Project Object Tracker: Provides tracking software that enhances customer service by evaluating the position of customers in retail stores and calculating whether the customer has been waiting too long for service. Venator Technologies: A multi-service manufacturing company utilizing 3D printing and laser cutting to serve small businesses and individual customers. SerVu: Provides a platform that connects bar owners with potential bar employees that fit the culture and style of the establishments. Hive Refrigeration: Works to solve the issue of mass refrigeration and the reduction of food waste on Sub-Sharan farms for those lacking access to cold storage refrigeration. Backpack for Gamers: Creates a backpack that suits the needs of modern-day gamers. Tiger CGM: A glucose monitor designed to provide comfort, freedom, confidence, privacy and accuracy. For more information on the Saunders Summer Startup, go to www.rit.edu/research/simonecenter/saunders-summer-start-program.